Celebrations in Delhi are grand, celebrations of South Delhi are grander! Agreed? I bet we all will. After all its Delhi ki shaadi or Dilli ki Party which is famous for all the show-shaa!! One such upmarket residential colony of South Delhi is Saket. The rich and affluent reside here and are best known for their lavish and grand celebrations. The weddings, anniversaries or birthday parties that take place here are by default the most talked about ones! If you happen to be searching for grand party places that can do justice to your special day celebrations....here is the list! These are some of the best venues in Saket that will make your dream event a reality! Lagoona Emerald, Saket, Delhi is a great venue for hosting the wedding of your dreams. The venue is located near Malviya Nagar, offers multiple wedding banquet halls and a lawn for hosting a variety of functions like mehndi, sangeet or reception party. Lagoona Banquet Hall serves a wide range of mouthwatering delicacies to choose from in both vegetarian and non-vegetarian food to their guests. 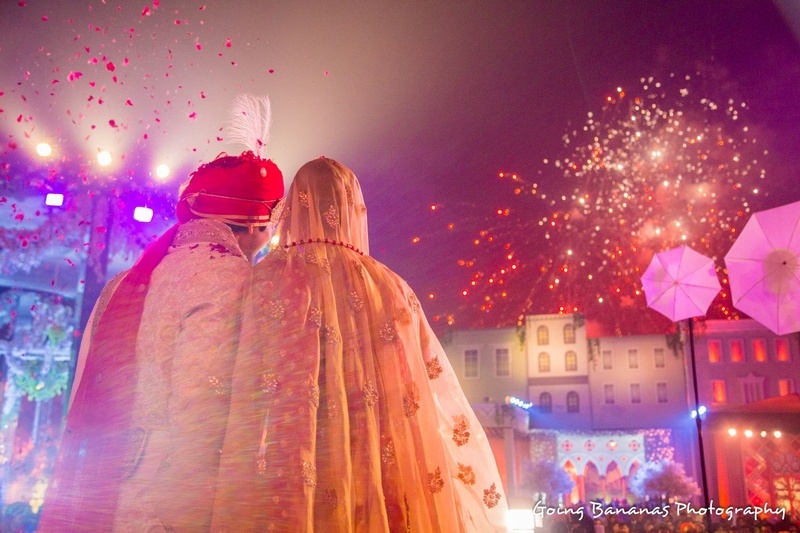 The prime wedding venue in Saket is easily accessible by metro and other modes of public transport. The banquet has two party areas and one of them is attached to an open lawn to accommodate all sorts of functions. Separate entrances ensure that two parties can be hosted together seamlessly. Hotel Silver Ferns, Saket, Delhi makes a nice space for hosting marriage reception or engagement ceremonies. The banquet has a modern architecture and is great for mini functions like haldi, sangeet or engagement. The venue also gets the decor done with the help of a professional in-house team. Buffet counters with numerous specialities can be set up by the in-house catering group. Hotel Silver Ferns, Saket, Delhi has an impressive parking space for all types of vehicles. If your guest list is limited, then this is the place that you should go for. Hilton Garden Inn, Saket, Delhi is an ideal venue for hosting birthdays, anniversaries, family get-togethers and pre-wedding functions. The elegant décor of the venue makes it an ideal option for your upcoming events. The venue serves mouthwatering multi-cuisine delicacies to choose from in both vegetarian and non-vegetarian food. It allows you to get your own decorator from outside to decorate the venue as per your requirements. It has two time slots you can choose the one which suits you the best. The venue has luxurious rooms for the guests which gives them a comfortable stay. Hilton Garden Inn, Saket, Delhi serves alcohol and offers valet parking service to their guests for their convenience. Svelte Hotel & Personal Suites, Saket, Delhi is a great venue to host small functions like birthdays, anniversaries and pre-wedding functions. The venue is away from the hustle and bustle of the city life, is an ideal location for having a destination wedding. It serves flavoursome delicacies to choose from in both vegetarian and non-vegetarian food. The decor team takes care of the decoration for your big day. It allows you to get your own decorator from outside to decorate the venue as per your requirements. It has two time slots you can choose the one which suits you the best. The venue has luxurious rooms for the guests which gives them a comfortable stay. So, go ahead and plan your functions at Svelte Hotel & Personal Suites, Saket, Delhi.